For all of my amazement at my children and my life as a mother, I think one of the things that amaze me the most is that some of my favorite memories of the last year have also come from my work at TRT. I knew I would have to work after my children were born, but I was not sure I would want to, and I definitely was not sure if it would still be fulfilling. So when the prospect of Rock Shabbat came about, I was excited and terrified. I was terrified by the challenge and for me pushing our comfort zones, but excited at the prospect of what it could be. And now thinking back on the last year, looking at the articles written about Rock Shabbat, looking at the standing room-only crowds even over a holiday weekend, and feeling what it is like to lead a congregation that is feeling and singing and clapping its connection to God is a definite highlight of my year. A lot has changed in a year: I became a mother twice over, I became a homeowner, and my children went from helpless bundles of needs to moving, explorers with budding personalities and budding potential (still full of needs, just also happy). All this makes me happy. And I have also found renewed energy in being a cantor, renewed ideas for our community, and renewed energy to push my comfort zones and my capabilities. 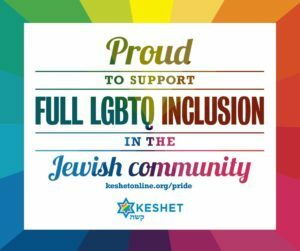 I have been overwhelmed by the response to Rock Shabbat because I honestly didn’t know if I had it in me, and I didn’t know if the community would accept it. I definitely did not know if we would find a way to pay for it. But you stepped up, you tried it, and you embraced my reaching out of myself, so I want to try more, experiment more, and continue searching for more exciting things to do. This surprised me in a year of so much new and excitement. I thought maybe children would be enough (how many new things can you do at once?) But this challenge was invigorating. Thank you for challenging me and thank you for accepting me. I pray that every year can be as full of wonder, amazement and as praiseworthy as this past year has been for me. Happy birthday to my Evelyn and Brianna! And thank you for sharing in this year of our journey. When I see my children smile and learn and laugh I praise God, so may you be blessed with precious sounds and sights worth praise every day, in work, at home and always.